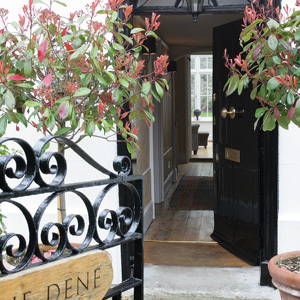 The Dene offers lovely self-catering accommodation for up to 12 guests, in a 300-year-old Grade II listed house with a large peaceful private flint-walled garden. 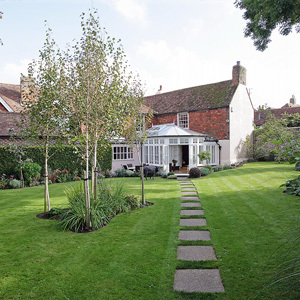 Set in the heart of the historic village of Alfriston, The Dene is on the South Downs Way in the beautiful Cuckmere Valley, two miles from the East Sussex coast. 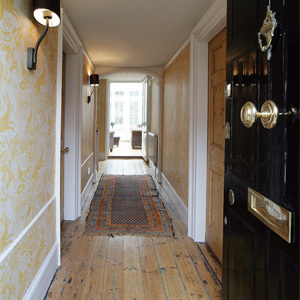 The Dene has five double bedrooms and two single bedrooms which are reached by a narrow, steep staircase. Three of the beds are luxurious 6'6" Emperor beds, as at the Langham Hotel in London, so you can sleep in peace and comfort! There are three bathrooms. 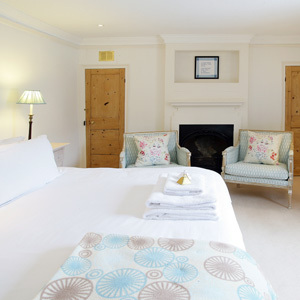 The Dene can be booked for up to 12 people, and there is a travel cot and a high chair. Eat in the beautiful open-plan kitchen/dining room and relax in the sunny conservatory. There's satellite TV in the sitting room, which is cosy in winter with a wood-burning stove. If you need to work there is also a desk with free wi-fi.